One of the best-known cities in the Crimea. Seaport and an industrial, scientific, and cultural centre of Ukraine. Population exceeds 300,000. Telephone code: 380-692. 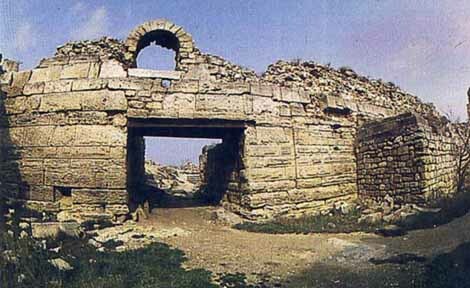 The ruins of the ancient Greek colony of Chersonese Taurica, founded in 5 B.C., have been preserved. During the 5th-6th c. the city was the bastion of the Byzantine Empire on the northern shore of the Black Sea. During the 9th-10th c. it played an important role in the economic and political relations between Byzantine and Kyiv. In 988 the Kyivan prince Volodymyr Svyatoslavovych captured Sevastopol, where he was converted to Christianity. In May 1783 the first 17 ships of the Black Sea fleet cast anchors in present-day Akhtialsky harbor. Construction of the port and military settlement was begun. The city sustained considerable damage during the Russo-Turkish War of 1854-1855 and during the Soviet-German War of 1941-1944. THE CITY OF CHERSONESE TAURICA (TAURIAN PENINSULA), 5 B.C. 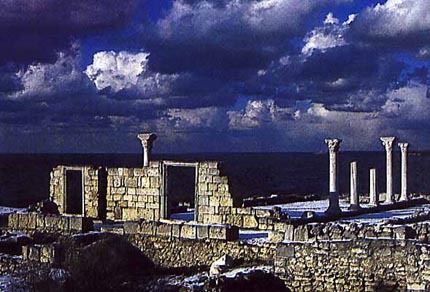 Ruins, located in the western part of Sevastopol on the Heraclian Peninsula. An important political and cultural centre of the Black Sea region. Founded by Greeks in 422-421 B.C. From 5-1 B.C. was a city-state with democratic self-government. In 3-2 B.C. the first defence structures consisting of 24 towers, 10-15 m high, were built. More than 30 streets and a large number of gardens were laid in the city. The city centre contains an acropolis and an agora (place of public meetings), a theatre, and a temple. During the 1st-4th c. Chersonese became an aristocratic republic under the control of Rome. Later it fell under Byzantine rule and in the 4th c. converted to Christianity. In the 5th-6th c. a mighty defence system was constructed. In 988 prince Volodymyr the Great captured Chersonese. In 1299 it was captured and destroyed by the Tatar-Mongols. 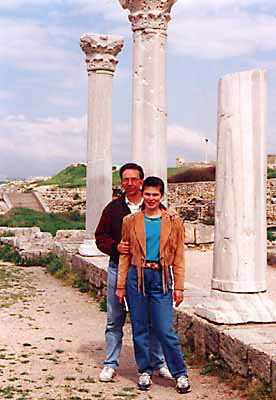 CHERSONESE HISTORICAL-ARCHEOLOGICAL PRESERVE. 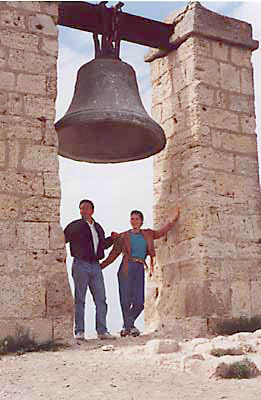 Organised in 1978 with the branches of "Chembalo Fortress", "Kalamita Fortress," including the ruins of Chersonese and a museum.